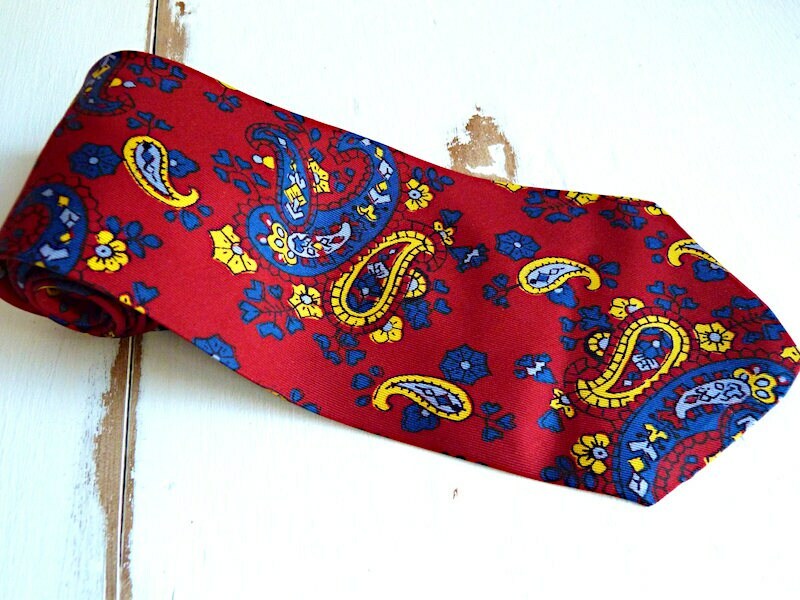 Gorgeous pure silk handmade tie. 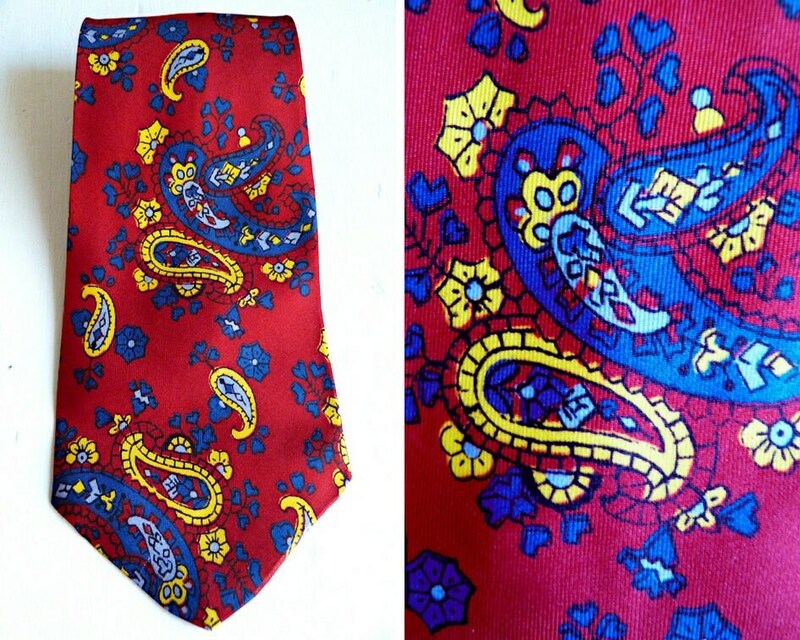 A very beautiful deep red imported fabric with blue tones and yellow paisley printed patterns. A bright and colourful head turner, that is still very elegant and stylish. 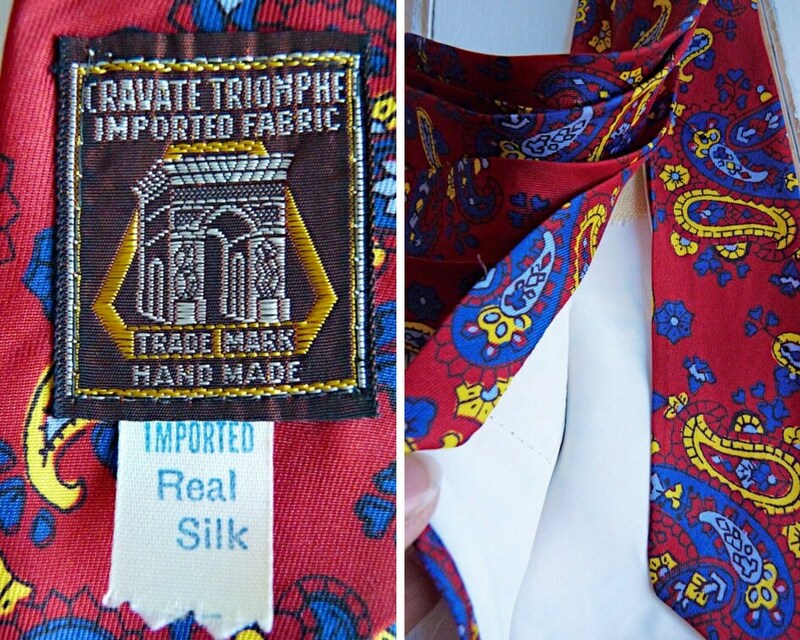 The very good quality silk is delicate, light and soft. 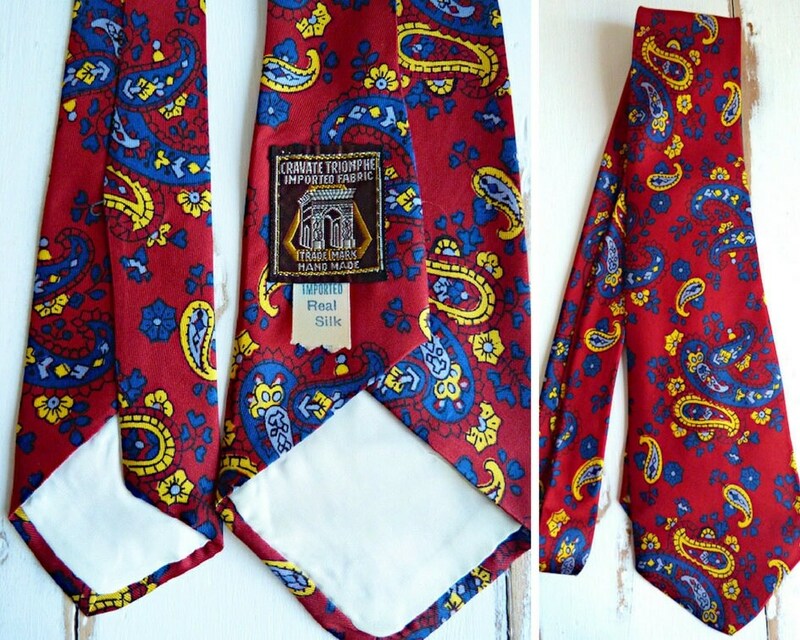 The tie width is pectin but it's quite short - more for short size men. One of my favorites!